Federal Premium ammunition is proud to offer the Top Gun Target loads. Top Gun Target loads are designed with the high volume shooter in mind, someone who needs consistent performance at a reasonable price. Federal engineers Top Gun with high-quality hard lead shot with a unique wad column for consistent patterns which absolutely crush clays. You can always count on a consistent and reliable ignition due to the fact that Top Gun Target loads use Federal primers. 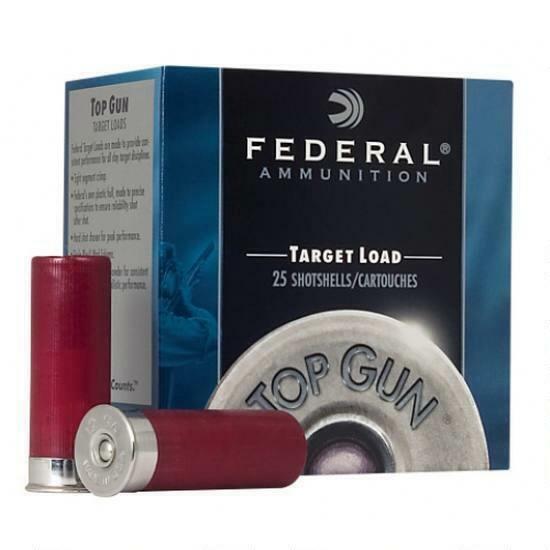 Top Gun Target has long been a staple of the shooting community with its clay busting ability.